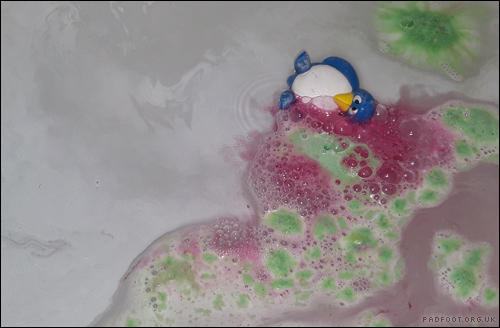 The weather’s feeling suitably Autumnal, so what better addition to your bath, than a Lord of Misrule bath bomb? 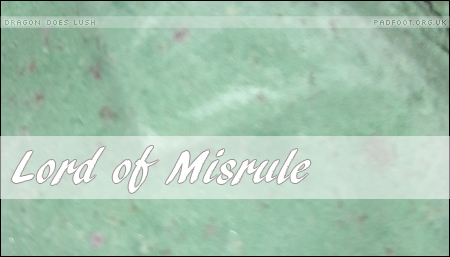 Lord of Misrule was so popular in my local Lush last year, that it sold out before the Christmas sale! 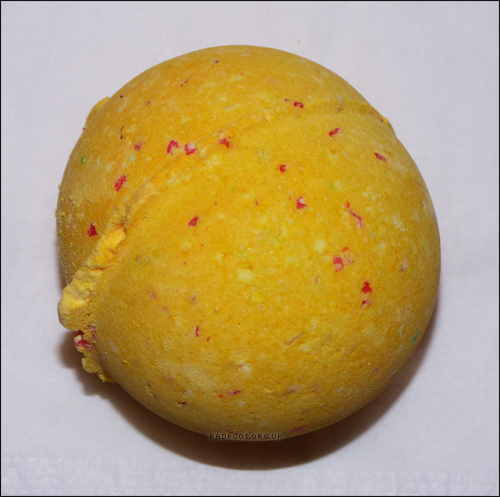 Lord of Misrule has a distinctive scent, which includes Patchouli oil. Now that’s something I’d never come across before this particular bath bomb, and is something which is pretty challenging to describe. Lush describe it as having an “earthy” scent – I’d agree with that, although it’s no way near as intense and earthy as last year’s Under the Mountain soap. ‘Breaking the rules’ once more, I spent a while hacking my bath bomb into pieces. 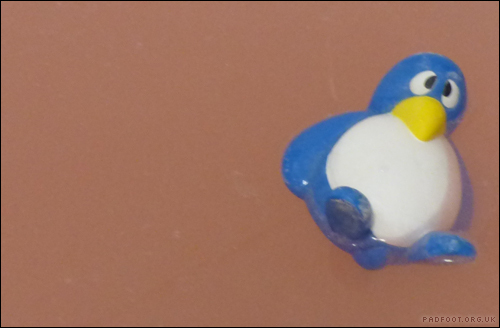 This one was definitely not designed to break apart easily, and took a lot of time and effort to get it to separate. 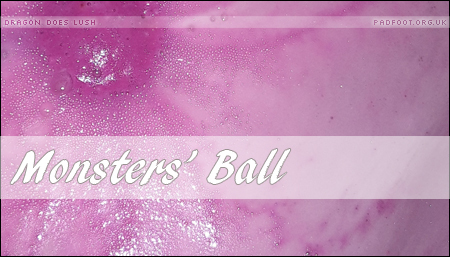 Although the outer layer of Lord of Misrule is green, the centre is a purple shade. If you used the entire thing in one go, it would lead to a spectacular display, but as I broke mine into pieces, I get a slightly different effect. It may sound strange, but I’m not all that keen on having the scent lingering on my skin for ages after I’ve finished my bath. 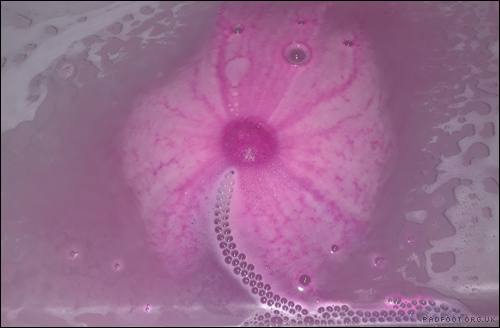 Because I didn’t use all the bath bomb, the scent hardly lingered at all, but for me that’s perfect. If I’d used more (or all of it), no doubt the scent would still be lingering as I’m typing this. 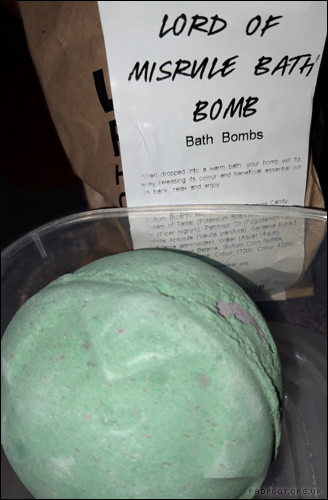 This entry was posted in Bath Bombs, Lush and tagged 2018, Halloween, Lord of Misrule, Lush on October 25, 2018 by Dragon. 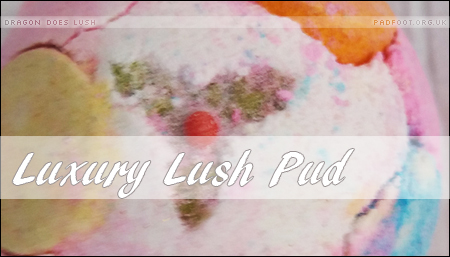 It’s been a while since I wrote anything about Lush products, hasn’t it? 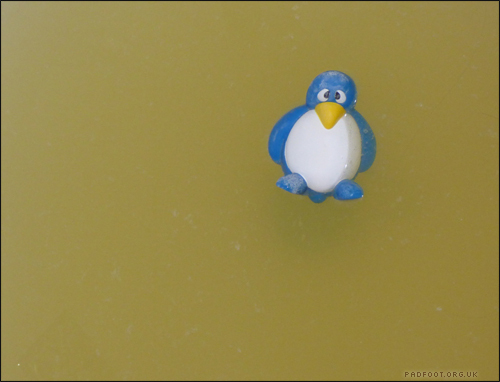 The summer was just too hot to even consider having a soak in the bath (before you say anything, I had showers instead! ), but now we’re getting some Autumnal weather, it’s the perfect time to check out the Halloween stock at Lush! 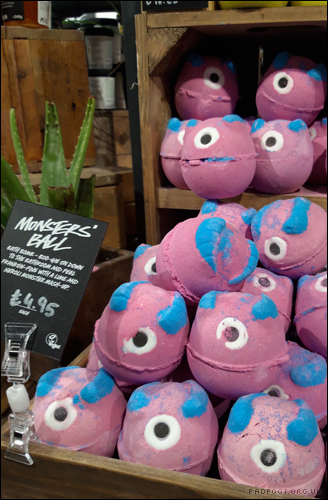 Monsters’ Ball is one of those bath bombs which stands out on the shelf – I’m sure those eyes were following me as I walked past the display. Scented with a mixture of lime, neroli and olibanum oils, it seemed vaguely familiar, but I couldn’t quite put my finger on what it reminded me of. Now this is where I ‘break the rules’. 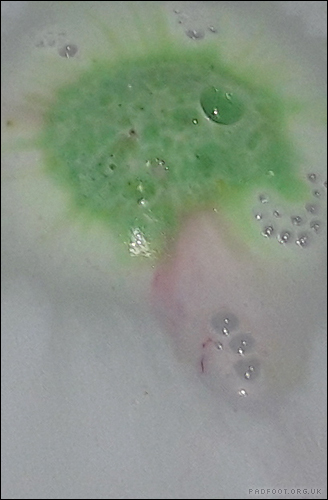 I rarely use a bath bomb in one go – I break mine into pieces, and get multiple baths from the one bath bomb. My Monsters’ Ball had a crack running around the middle, which made it ideal to cut through (I use a plastic knife so there’s less chance of catching my hand as I cut it). I didn’t use a huge amount of it, but the scent was superb and the effect in the water was equally spectacular. 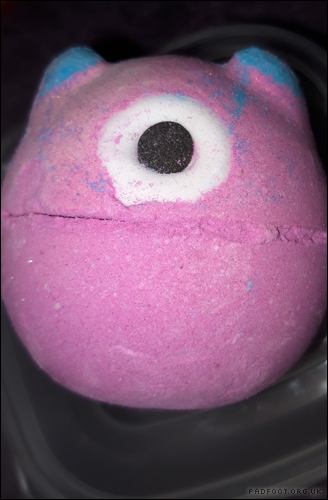 This entry was posted in Bath Bombs, Lush and tagged Bath Bomb, Halloween, Lush, Monsters' Ball on September 20, 2018 by Dragon. 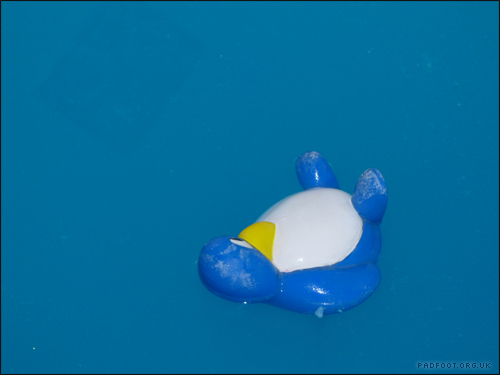 Being a fan of the Butterball bath bomb, I was eager to try the seasonal variation, Butterbear. At £1.95, it’s 70p cheaper than the Butterball, so I wondered just how effective it would be. 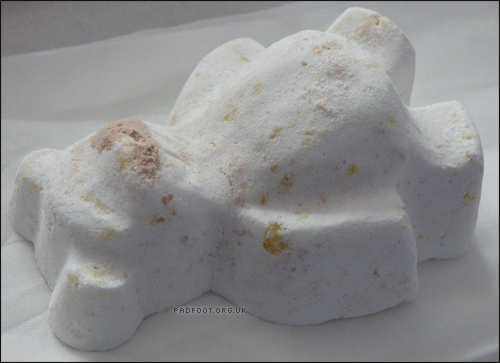 Moulded into an attractive polar bear shape, there’s a small amount of cocoa powder on the muzzle, and you can tell just how much butter is in the bear, by all the splotches of colour against the white. 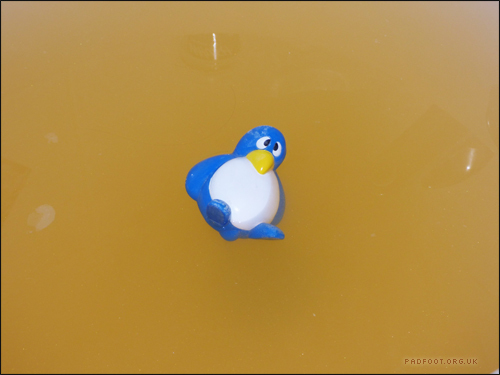 When Butterbear hits the water, it dissolves rapidly – mine was fully dissolved in less than 30 seconds! The water turns slightly cloudy, with the small pieces of cocoa butter floating on the surface until they eventually melt into the water. 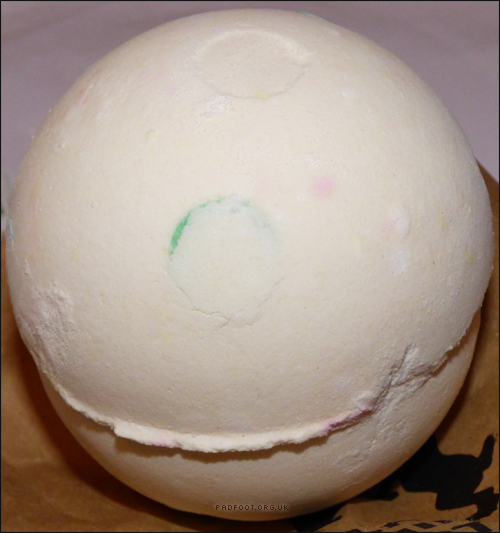 It’s not a bath bomb you would buy for it’s appearance in the water (there’s no colours or popping candy), and the scent of cocoa butter, while not unpleasant, really wouldn’t scream “buy me” in the shop. Where this bath bomb does excel, however, is in the effect on your skin – the cocoa butter moisturises your skin really well. 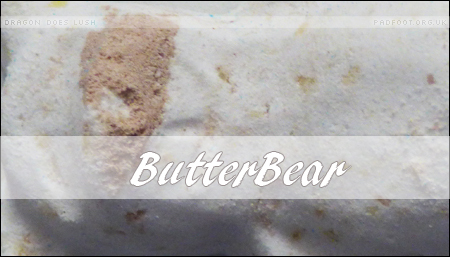 In fact, I would say that despite Butterbear and Butterball being the same size, Butterbear seems to moisturise my skin better – it felt suitably moisturised, without feeling that my clothes would get greasy from it. 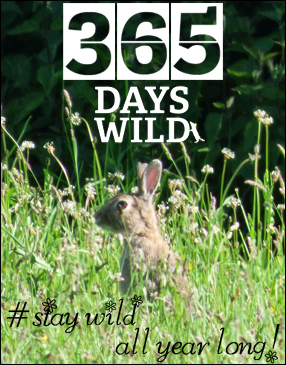 Overall, it’s a fantastic product (especially being cheaper than the Butterball), and I think I’ll be buying a few to store up so I can use them through the year! 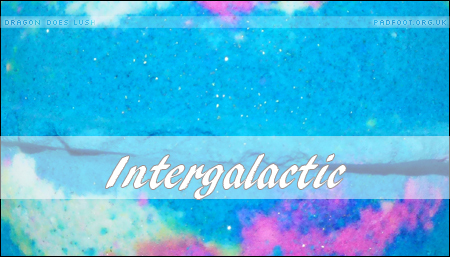 This entry was posted in Bath Bombs and tagged Christmas 2015 on November 12, 2015 by Dragon. Costing £2.95 this is one of the cheaper bath bombs, and being a similar size to Butterball it’s also one of the smallest. Even so, the spicy cinnamon aroma was really strong, so I had high expectations for this one. 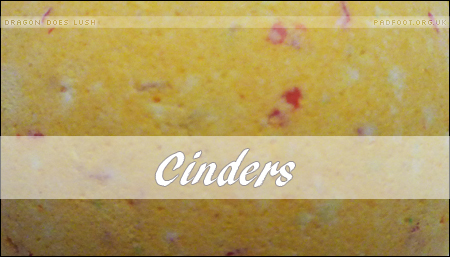 Carefully placing it on the bathwater the popping candy crackled away, sounding like the crackles of a bonfire, and the scent dispersed through the water to leave an aromatic bathtub which was a lot less potent than the smell of the bath bomb originally. 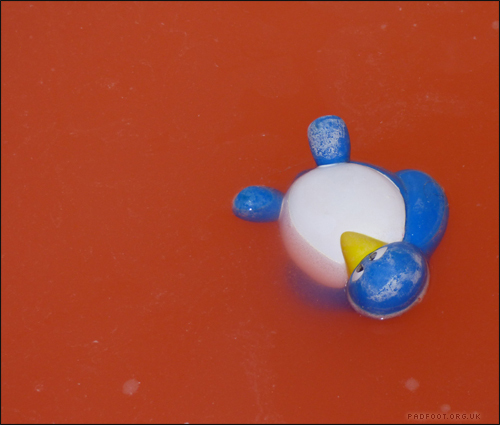 However, there was no real display from this bath bomb. 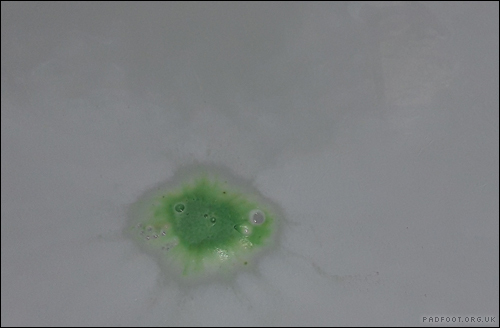 As soon as it touched the water, it immediately sank to the bottom of the tub, which none of the other bath bombs I’ve used have done. While it turned the water a reasonably nice golden shade which was similar to Dragon’s Egg, there wasn’t any foam or multicoloured effects like the other bath bombs. I knew that some bath bombs like Butterbear and Butterball don’t give any colours, but they’re designed to emit shea- and cocoa butters. 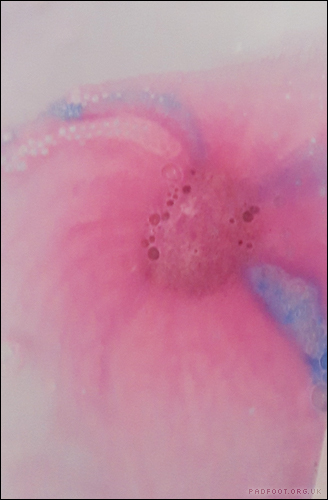 This little bath bomb doesn’t contain anything like that, so I had at least expected it to bob about on the surface of the water, and have some red colouring to go with the gold. 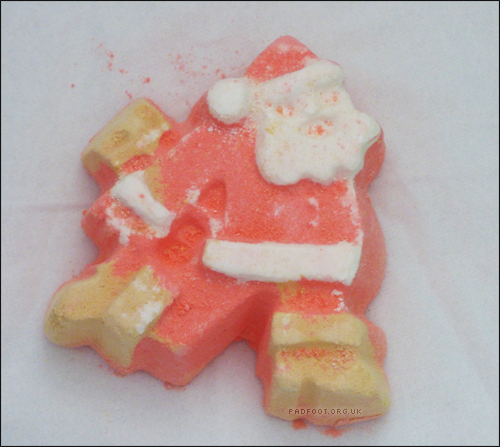 This entry was posted in Bath Bombs and tagged Christmas 2015 on November 5, 2015 by Dragon. 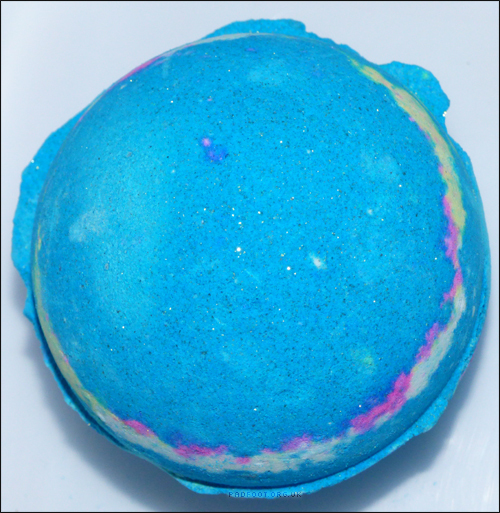 With a name like Dragon’s Egg, how could I try anything but this bath bomb first?! It doesn’t look all that startling when you see it in the store, but I wanted to give it a go. It does look rather plain, with these strange coloured discs sunk into it. There’s a slight citrus scent to it, but nothing all that noticeable until it goes into the water. Starting off with a white foam, the outer shell of the bath bomb soon dissolves, letting a vibrant orange foam emerge from the centre. 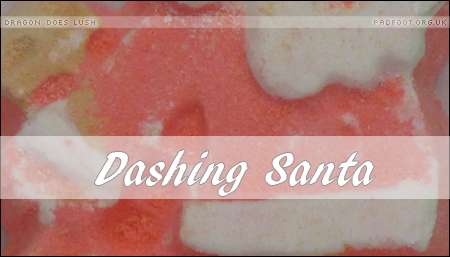 As this swirls around the bath, the popping candy starts to crackle…. 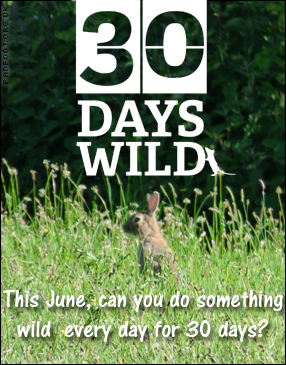 which is a bit unnerving if you haven’t ever experienced that before! The aroma is more noticeable in the water, a nicely orange citrus scent, which complimented my Refresher shower jelly perfectly. 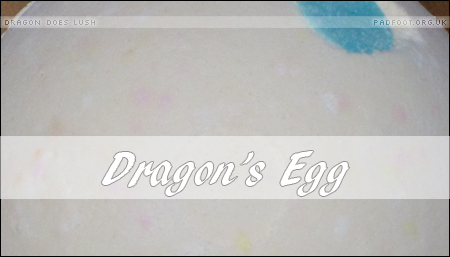 Dragon’s Egg definitely is one of my favourite bath bombs, and at £3.35 it’s not one of the most expensive ones. It’s certainly great for a relaxing soak, although the citrus is likely to revive you a little, rather than relax you for bed. 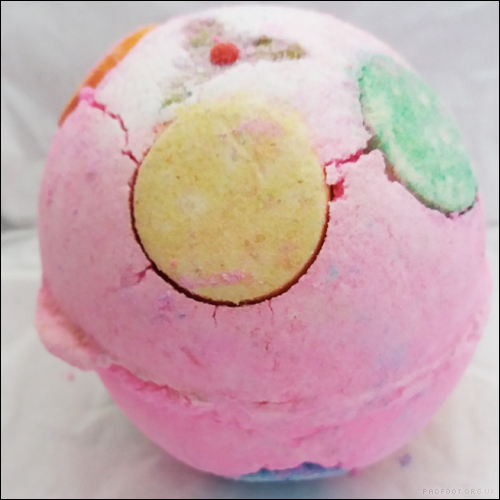 This entry was posted in Bath Bombs and tagged Bergamot Oil, lemon oil, orange scent, popping candy on September 24, 2015 by Dragon.